Materials: borosilicate glass blown with the “lume” technique. 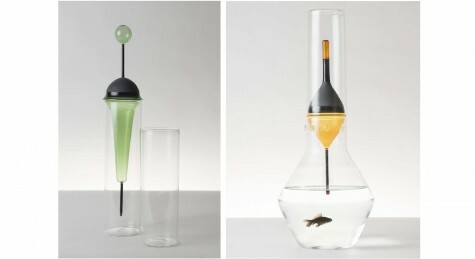 DERIVA is a collection of contemporary totem inspired in proportions and form by fishing floats. 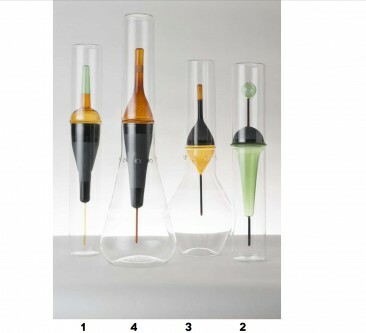 Presented out of scale in different shapes and colours, the volumes are suspended in a membrane of borosilicate glass. The composition, amplified through the transparent membrane, changes the visual perception of the object; creating an optical illusion. waiting. Saturated colour enhances the borosilicate glass in its various surface treatments, alternating through sandblasted translucency, to transparent and opaque glass. 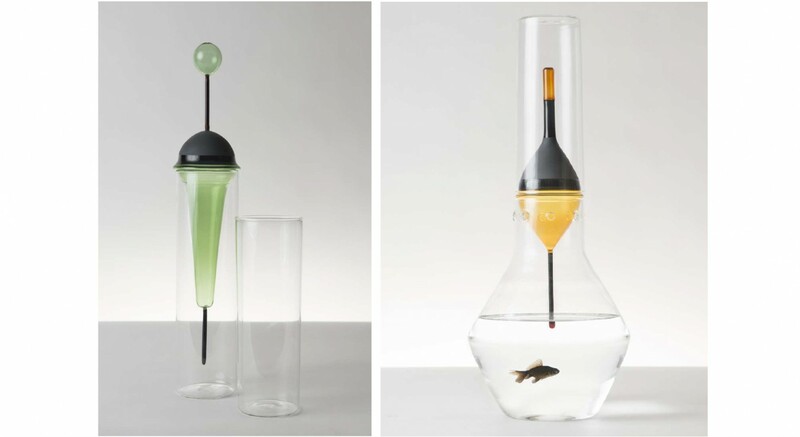 For added functionality, the vase can be used as a small aquarium for the home. and differences that are in the nature of the craft, not subject to any standardization work.